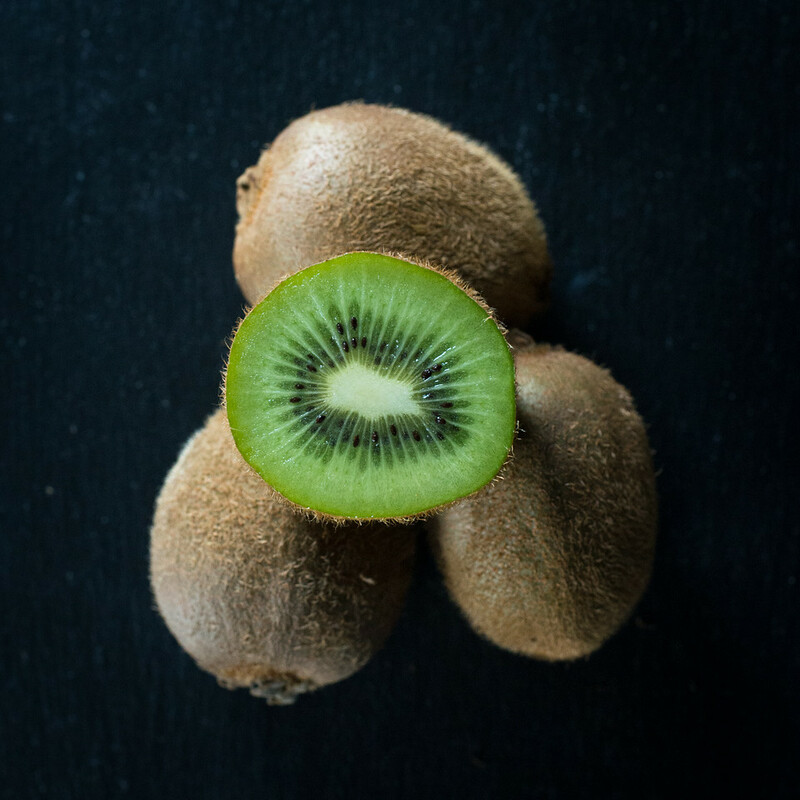 Kiwi fruit is a small fruit packed with many nutritional benefits! Why is it good for my body? Kiwi fruit contains vitamins C, A, E, B6, and B12. It also boasts a good source of potassium, calcium, magnesium, and iron. Where does it come from? Kiwi fruit, also known as the Chinese gooseberry, originated in China. Seeds from China were brought by missionaries to New Zealand where it became a popular crop and was named for the Kiwi bird! Kiwi fruit grow on a woody, twining vine or shrub. What season is it fresh? Kiwi fruit is available in grocery stores, year round. How do I store and handle it? Store kiwi fruit in the refrigerator, intact with the skin on. What are ways to eat it? Kiwi fruit is delicious eaten on its own. The skin is actually edible, although you may prefer to remove the furry skin! Try kiwi featured in our Strawberry Salsa.